"This violent world, in which teenage girl gangs are menacing and dangerous, is gripping. I really wanted to find out who would survive." "This story is very well thought out with believable characters and situations. Gabel does a great job drawing us into the life that many of us know nothing about." 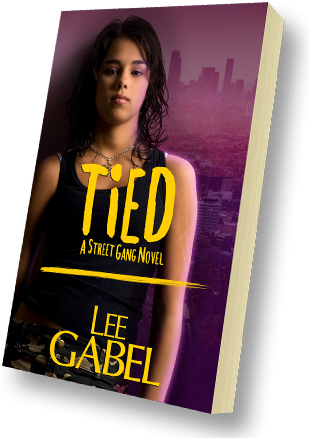 "Fast moving... with an ending that left me breathless..."
To get your preview of Tied, you just need to tell me where to send it. *Caution: Strong language and gang violence. Enter your email address to get your preview delivered to your inbox. You’ll also be added to my Readers’ Group and you’ll be the first to know next time I have some cool stuff to give away (you can unsubscribe at any time).